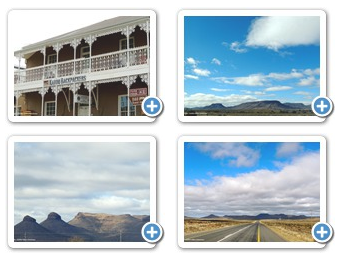 Kimberley is the capital of the Northern Cape Province. It is located approximately 110km east of the confluence of the Vaal and Orange rivers. In 1866, Erasmus Jacobs found 21.25 carat diamond on the banks of the orange river, on the farm de kalk, and became known as the Eureka. In 1869, an even larger 83.50 carat diamond, known as The Star of South Africa, on the slopes of Colesberg Kopje on the farm Vooruitzigt belonging to De Beers brothers. Within a month 800 claims were cut into the hillock was worked frantically by two to three thousand men. As the land was lowered so the hillock became a mine - in time, the world renowned Kimberley Mine. The Big Hole, open mine or Kimberley Mine (Groot Gat) is an open-pit and underground mine in Kimberley, and claimed to be the largest hole excavated by hand. The Big Hole has a surface of 17 hectares and is 463 metres wide. The is currently an effort in progress to register the big hole as a world heritage site.